video | THE GOOD . . . THE BAD . . . AND ME. If I can think of a Lenny Kravitz song that is timeless and can still make my heart beat fast, it’s It Ain’t Over Til It’s Over. It’s also a great song to just jam towards the weekend. This song makes me a bit nostalgic and at the same time imagine driving to the south in an unknown destination with a couple of close friends with the car windows open whilst exchanging a couple of light conversations. So when I was thinking of what song to usher in the weekend this time around, Allison Road was one of the firsts that came to mind. 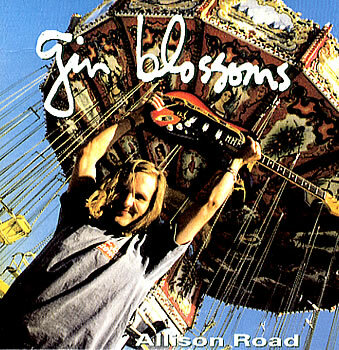 Allison Road is the first song that made me fall in love with Gin Blossoms. It’s also one of the first songs I learned how to play on my guitar way back when cellphones are bigger than wireless home phones and the internet is not that big of a deal yet. It calms me down and it makes me a bit lethargic. After several hectic weekends, I think it’s time to hang up the dancing shoes and just stay at home — in bed — and relax. The first month of the year always compels me to start an overall fresh playlist to (maybe) last for about 3 months or so. A combination of old, new and obscure songs, I kick-start the new year with something different — at least for me.